Fairfield was mostly a small farming town with a modest collegiate population of Parsons College until 1973. 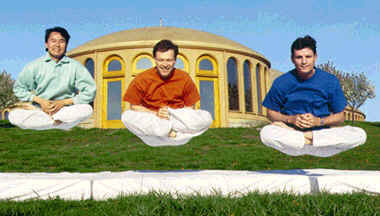 Parsons closed and Maharishi re-opened the campus as Maharishi International University (now Maharishi University of Management), bringing in droves of meditators. 1800 Sidhas generate twice daily global telecasts of coherence, neutralizing stress, and building support of Natural Law from the largest TM-Sidhis Group Program facility in the USA. The Sidhis include mentally altering the local gravitational curvature of space time geometry . 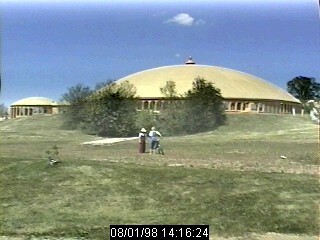 The Golden Dome helps to give rise to Stage III Yogic Flyers within a few generations, as part of an ideal community for human development. More on Meditation from MerlianNews! NextSaharStore.com: Shop for Life Readings, Self-Awareness Tools, Gifts & More!